Field Order Press, 9780692598429, 74pp. In her first collection of poetry, Christine Platt reflects on the history and complexities of the African diaspora. 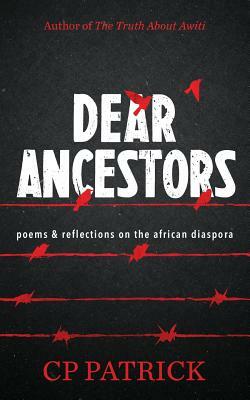 Dear Ancestors is a poetic homage to the past and present. Christine Platt enjoys writing fiction and fantasy interwoven with the African Diaspora experience. She holds a BA in Africana Studies from the University of South Florida, MA in African and African American Studies from The Ohio State University, and JD from Stetson University College of Law. She currently serves as the Managing Director of The Antiracist Research and Policy Center at American University.